Pima County Food Alliance’s #1 policy goal for 2017-18 is to expand access to fruits and vegetables at our farmers’ markets. A great way of doing this is through a program called Double Up SNAP, which allows food stamp recipients to double their dollars at the market to be used on fresh, locally grown vegetables. A win for consumers, and a win for local farms! Believe it or not, the Arizona State Legislature is, as we type this, considering a bill called SB 1245 that would help expand Double Up SNAP across the entire state!!! SB 1245 appropriates $400,000 of the State general fund in fiscal year 2018-2019 to be used to upliftt local Arizona farmers and our Arizona economy by providing funding for a produce incentive program for SNAP participants so they can purchase locally-grown produce items at participating farmers markets, farm stands, community supported agriculture (CSA) sites, and grocery stores. 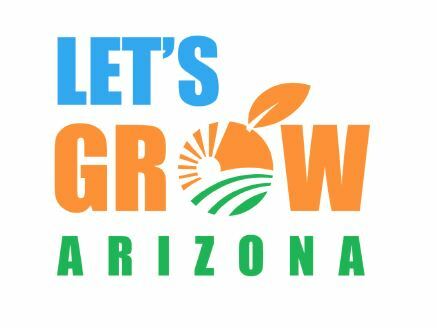 You can download this PDF file for a quick synopsis, or you can check out the Let’s Grow Arizona website, which is run by Pinnacle Prevention, the folks spearheading this project. For now, you can sign up with Pinnacle Prevention to receive updates. Click here to sign up to receive updates on how to help.